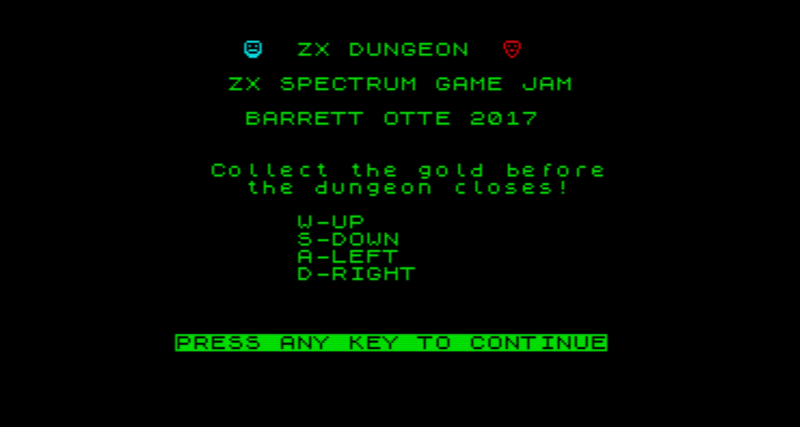 Before the ZX Spectrum Game Jam I had never used BASIC before. After walking myself through the BASin manual and tinkering with a few games, I had a firm understanding of the language. This is a fairly simple game where you collect gold and avoid the enemy. 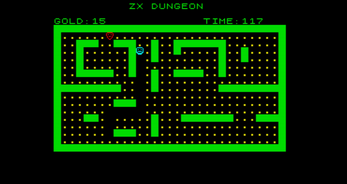 It plays a lot like PacMan and is based off of an example located in the ZX Spectrum Coding Club book. I had a lot of fun learning this language. 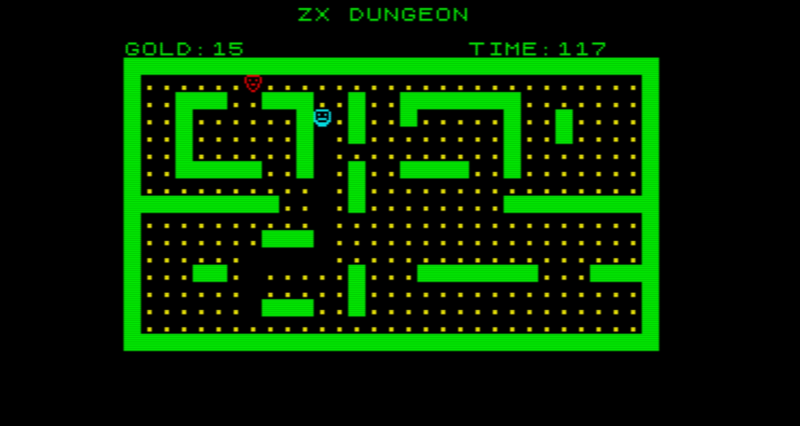 Use a ZX emulator to open the SNA. 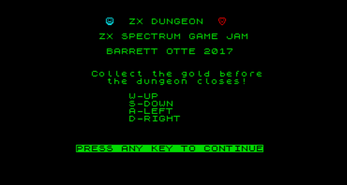 After the initial screen is up, press R and enter to RUN the game. I used Spectaculator to run my project.